Hedera through education and promotion. 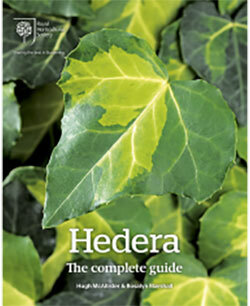 The second in the new series of RHS Horticultural Monographs, Hedera: The complete guide, covers the surprisingly colourful diversity of ivy, from the 12 species to the extensive range of cultivars ideal for gardens and urban environments. The American Ivy Society is happy to answer your questions about ivy. All E-mail questions are forwarded to one of your qualified members for response. Our web site is updated regularly. Please check back often for more questions answered.